Feeling crabby? 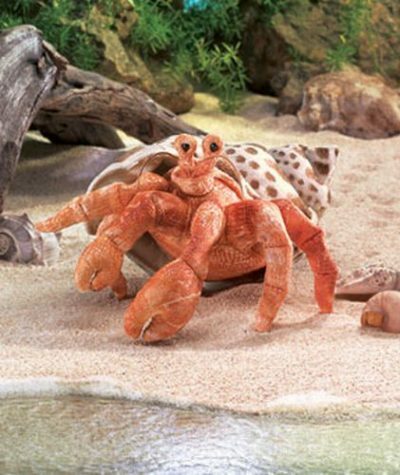 The brilliantly colored Folkmanis HERMIT CRAB puppet can cheer you up in a pinch! With his bright orange body and soft patterned shell, he’ll sidle blithely into your heart.